Find the size, weight and number of carry-on bags that you're allowed. This applies to flights operated by Air New Zealand. If part of your journey includes codeshare flights or other airlines, please check their allowance as well. 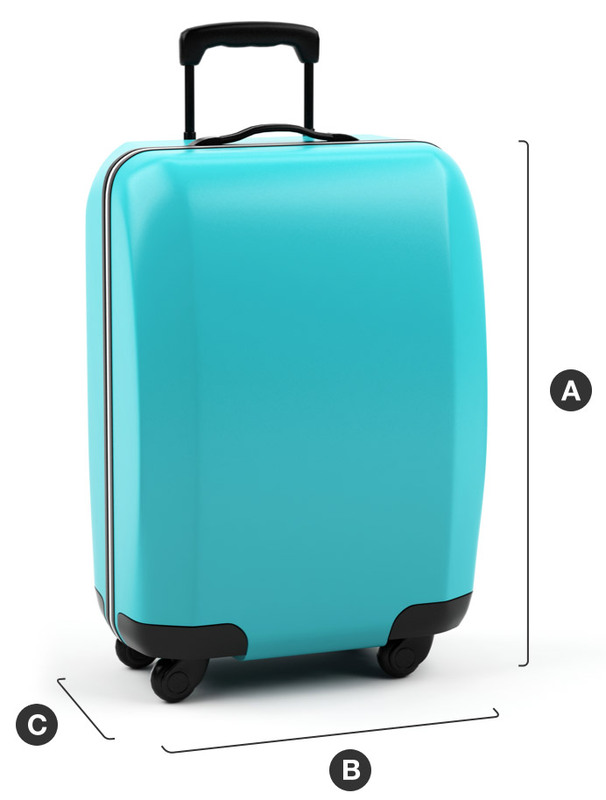 Carry-on size is calculated by measuring a bag's length, width and height (including any wheels and packed away handles), then adding the three measurements together. The total can be up to 118cm (46.5 inches). Economy fares get one carry-on bag plus one small item, like a handbag or thin laptop. Premium Economy, Business Premier, connecting Business Premier, and Airpoints™ Gold, Elite and Star Alliance Gold members get two bags plus one small item. Economy carry-on can weigh up to 7kg (15lb). Premium Economy, Business Premier, connecting Business Premier, and Airpoints™ Gold, Elite and Star Alliance Gold members' carry-on can weigh up to 14kg (30lb) total, with one item weighing up to 10kg (22lb). 3. Pay excess charges at the airport. Don't have checked bags in your fare? If you have a Seat only booking, simply change it to a Seat + Bag fare. There are some things you can't pack in your carry-on. See what's restricted or prohibited, and further details on electronics specifically. Certain strollers and car seats can be brought on board. To see which strollers and aircraft apply, see travelling with children.